Did you see my Habitat for Humanity post!? 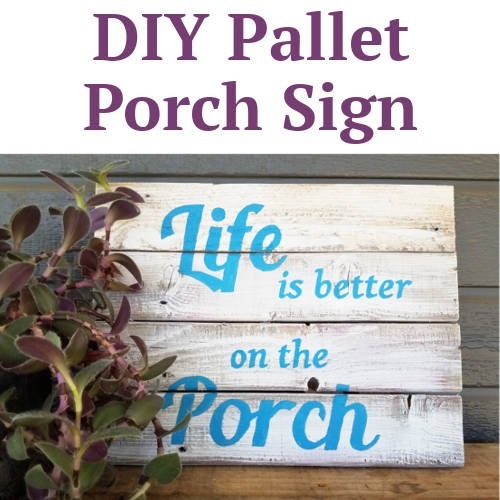 If you did, you may have noticed this awesome pallet sign sitting on my porch! This sign is so easy to make. It only took me a couple of hours (not including drying time) and cost almost nothing. Like I said before, this porch is the gathering place at our home. I live in the south so "porch weather" starts around March/April and lasts until November/December. 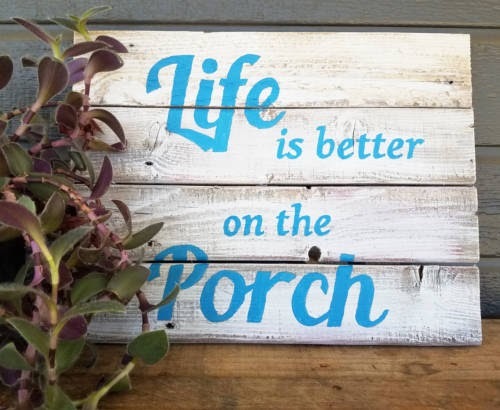 I can't remember where I first saw the saying "Life is better on the Porch" (probably pinterest!) but it is so true for our family. I thought it would make the perfect sign for our porch. 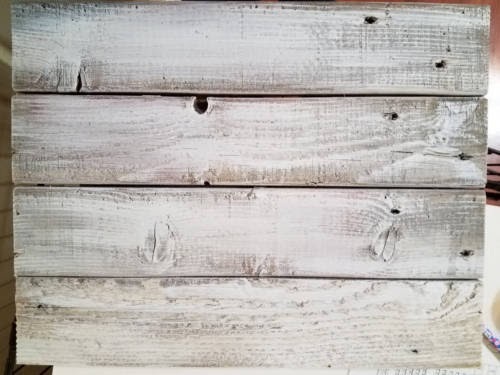 I started out with two pallet boards and a piece of scrap wood. I cut each one of the pallets boards in half and cut the scrap wood into three pieces. I attached the scrap wood to the back on the pallets using wood glue and short screws. You can see in the photo above that the top board was backwards. Oops!! Oh well, you can't really tell in the finished piece but learn from my mistake and make sure your boards are all facing the same direction before you attach them! I used some left over paint and dry brushed over the boards. 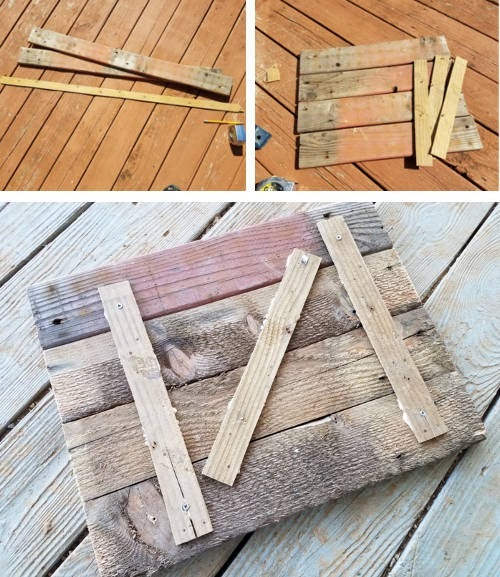 This is similar to the technique I used on my rustic farmhouse frames. I didn't take any photos of how I got the letters on the wood but I'll try my best to explain. I printed out the words on normal paper then I used a pencil to scribble over the back of the letters. I then placed the words where I wanted them on the sign and began tracing each letter. By doing this, I transfered the pencil mark on the back side of the paper to the wood, leaving a perfect outline of each letter. From there I just filled in the outlines with paint. If you're still confused and would like me to make a tutorial, please let me know in the comments! And here is the final product. What do you think? Don't forget to donate to Habitat for Humanity to help out with their Home Is The Key campaign! !